This is Stolen Smoked Rum. This rum is inspired by wanderlust, one of our favorite lusts.It’s the world’s first smoked rum. It’s made in Trinidad from locally sourced sugar cane. It’s column-distilled and aged for at least two years in ex-whiskey barrels made from American oak. Additional flavor is imbrued into the rum using 100% Arabica coffee beans from Columbia, fenugreek seeds from Morocco, and vanilla beans from Madagascar. 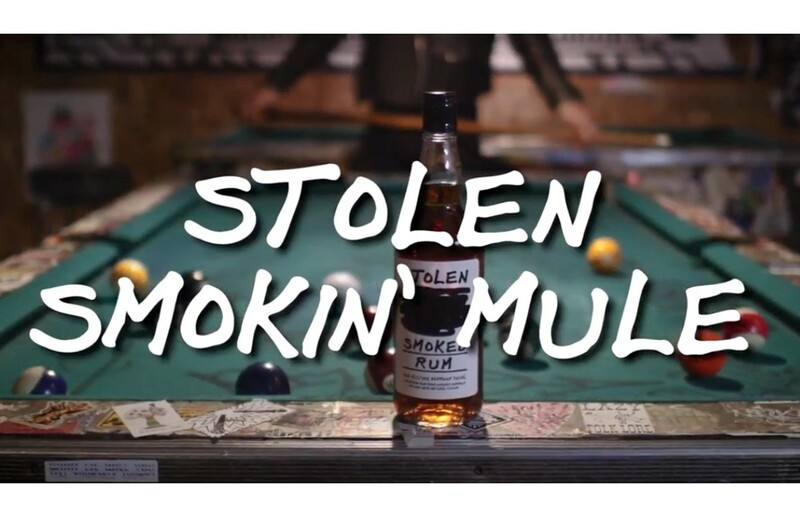 Stolen Smoked Rum is a smooth, medium body rum with a generous bouquet. On the palate, the deep profile of coffee, vanilla, warm caramel and dark chocolate mix with lingering notes of charred oak for a long, smooth, smoky finish. Please Drink Responsibly. This product is only available for delivery in the following states: AK, AZ, AR, CA, CO, CT, DE, DC, FL, GA, HI, ID, IL, IN, IA, KS, LA, ME, MD, MA, MI, MN, MS, MO, MT, NE, NV, NH, NJ, NM, NY, NC, ND, OH, OK, OR, PA, RI, SC, TN, TX, VT, VA, WA, WV, WI, WY. Combine STOLEN Whiskey or STOLEN Smoked Rum, ginger beer and lime juice in a tall glass over ice.